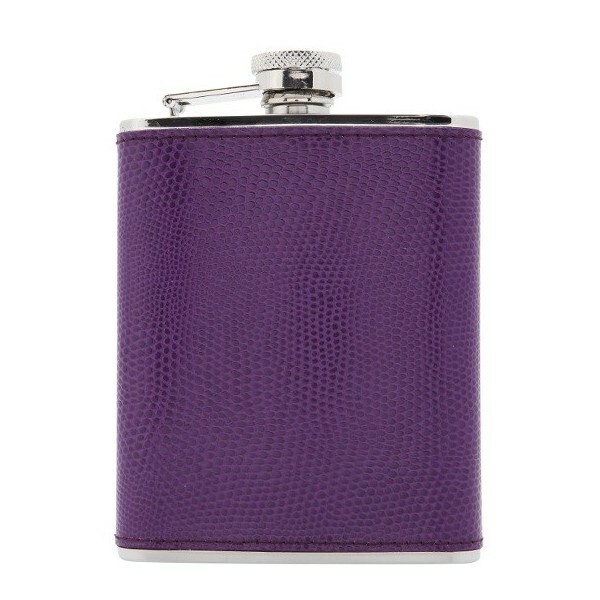 Stainless steel, stitched snake effect embossed leather hip flasks, in beautiful royal purple. Coated inside to stop impurities tainting your tipple! Holds 6oz of liquid...gift boxed. 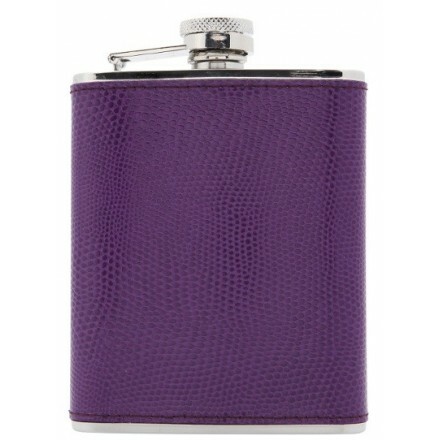 This is the ulltimate in mens gifts - every man should have one filled to the brim with his favourite tipple! Our hip flasks come gift boxed and gft wrapped as standard. Ideal gift for the man who has everything. Also available in vibrant red. Holds approx 6oz or 170ml of liquid. Features a captive lid that simply flicks open. Comes with full washing instructions.